With millions of software products and apps on the market, choosing one to run your business is more challenging than ever. This article will discuss how to find and select “niche” software for your exact business. Niche software is often called “Vertical Market Software” because it fits only a slice of a market as opposed to a broad swath. It can be more powerful, time saving, and profitable than generic products. What is not vertical market software? Products like Microsoft Word, or Excel, are not niche software products. They are “horizontal”, and fit a wide variety of word processing needs for many businesses. Generic retail software products, like Quickbooks, might be called a “diagonal” software product. It serves a niche (retail is just a small portion of the software world), but it is not very specific, although it does offer a few vertical versions, and works well for many businesses. Vertical market software supports precise processes within your business. The key words here are precise and your business! Imagine if someone stood behind you twenty four hours a day, and memorized exactly how your business operated, and then wrote a software package for you. Except that you didn’t have to pay hundreds of thousands of dollars for it, and you didn’t have to wait two years for it. That is what vertical market software should be like. A salon software package will typically include applications for online appointment scheduling, automated email reminders, and a client history to keep track of their hair styling preferences and color formula history (very critical!). May keep track of chair rental charges, or specialized commission programs. Auto repair shop software – keeps track of past services, can notify users of needed oil changes, can support one customer with multiple vehicles (fleets), can look up a vehicle by license plate, VIN, has a preloaded data base of hundreds of thousands of jobs with specific hours of service for each job. Can even use VIN numbers to check for manufacturer recalls. May be able to show images of how to do each repair job. May automatically order parts from the local warehouse. 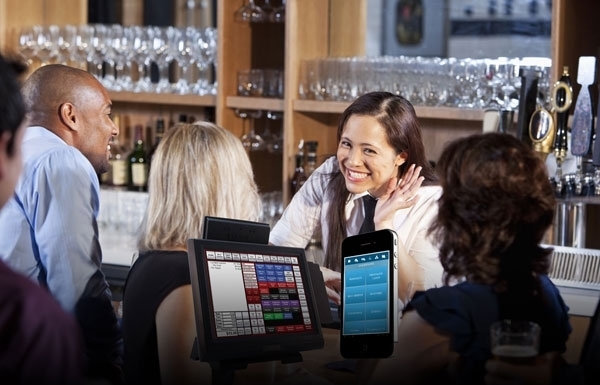 Hospitality / Restaurant software (and here we split even further into sub-categories like full service restaurants, QSR (Quick serve) and Delivery. Software for a full service restaurant must handle splitting checks, tips, may support menus creation and printing, may handle reservations or interface with reservation systems, may track cooking specs and ingredients – and allow a server to quickly look up information for people with specific food allergies. It automatically routes orders to either a bar printer, or a kitchen printer. Quick serve restaurant software – may include drive-thru ordering capability, large screen displays that show pending orders, track order completion times to monitor efficiency, etc. May have user operated kiosks for ordering, the way Panera and McDonalds are adding now in select locations. Liquor store software – typically has a pre loaded database of all common items and their UPC codes, has automatic reordering capability, may have the ability to scan and store driver license information to be able to prove that the customer was age verified. Delivery software (ex. Pizza) – has automatic GPS mapping and routing for drivers, can accept credit card data in the field, notifies stores when an item has been delivered, monitors driver efficiency. Feed mill software – handles retail transactions, but also needs to handle exact formulations and blends for farm clients. Example, a farm may be ordering thousands of pounds of grain each month and needs special nutrients for it’s particular soil type. The software will remember what each individual farm needs. Pharmacy software – must meet federal and state regulations for tracking prescriptions of thousands of different items, may offer cross-checking of medications for conflicts, may handle electronic re-ordering and prescription renewals, prints labels for pill bottles. Apparel Software – handles complex inventory tracking, markdowns, style-size-color matrix, layaways, and more. These are just a few of the niche-specific things that software products often handle. One thing to be wary of is software that purports to be for a specific niche, but in reality only has a few cosmetic changes from one version to another. A business may only need the main screens tailored to its needs. A business may have “clients” instead of “customers” – so that change is made on the screen and in the reports. But the changes are often very minor and not process specific. Sometimes that is enough. It’s a choice you will make. For new or emerging businesses generic software may be less costly than a powerful vertical market package. In today’s world the costs of switching to a new software are reasonably low and startups may choose to keep it simple for a year or two.